Mr. Justice Tariq Saleem Sheikh in his judgment has decided the issue regarding expiry of initial limitation and extension of time by the Federal Board of Revenue in S.T.R No. 30 of 2014. 1. This is an application by way of reference under Section 47 of the Sales Tax Act, 1990 (the “Act”), against Order dated 2-9-2013 passed by the Appellate Tribunal Inland Revenue, Lahore (the “Tribunal”). 2. During the audit of Respondent No.1 for the period July-2006 to June-2008 it was inter alia observed that it had illegally reduced its output tax against “Credit Notes” issued with regard to certain sales returns as the said Credit Notes were not available on its record. Accordingly, it was charged with the evasion of sales tax amounting to Rs.509,278/- and Special Excise Duty (SED) of Rs.14,277/-. The Deputy Commissioner Inland Revenue issued Show Cause Notice dated 05-10-2009 to Respondent No.1 calling upon it to explain as to why the aforesaid sales tax and SED may not be recovered from it alongwith default surcharge and why other penal action may not be taken against it under Section 33 of the Sales Tax Act, 1990, and Section 19 of the Federal Excise Act, 2005. Adjudication proceedings commenced which culminated in Order-in-Original No.03/2010 dated 23-7-2010. The Adjudicating Officer held that the charge was established against Respondent No.1. Since the Order-in-Original was passed beyond the time prescribed in Section 36(3) of the Act as it then existed on the Statute Book, the Adjudicating Officer made it a point to mention in the said Order that the Federal Board of Revenue (the “Board”) had extended the time-limit till 31-7-2010 for deciding the matter in exercise of the powers available to it under Section 74 of the Act. Respondent No.1 preferred an appeal before the CIR (Appeals) which was accepted vide order dated 22-12-2010 on the ground that the Order-in-Original was hit by limitation. The CIR (Appeals) held that the Board’s extension was of no avail to the Department inasmuch as it was obtained after the expiry of the initial limitation prescribed by Section 36(3). The Department filed an appeal before the Tribunal but the same was dismissed on 2-9-2013. It has now come up in reference before this Court. a. Whether on the facts and in the circumstances of the case, the learned Appellate Tribunal Inland Revenue (ATIR) was justified to reject the departmental appeal on the ground of limitation, whereas the case was decided within the extended period after proper approval from the FBR under Section 74 of the Sales Tax Act, 1990? b. Whether the ATIR was not under obligation to apply the law correctly in view of the judgment of the Hon’ble Islamabad High Court (PTCL 2009 CL 35) irrespective of the fact whether the same was presented before the Tribunal or not? c. Whether the ATIR was justified in ignoring the judgment of the Hon’ble Islamabad High Court (PTCL 2009 CL 35) deciding a similar question of law? 4. Notice was issued to Respondent No.1 but it has not entered appearance despite service. It is, therefore, proceeded exparte. 5. Learned counsel for the Petitioner contended that the Tribunal’s Order dated 2-9-2013 as also of the CIR (Appeals) dated 25-8-2010 were passed on misapprehension of law. The Board had extended the time for adjudication of the case by the Adjudicating Officer upto 30-7-2010 in exercise of its powers under Section 74 and no exception could be taken thereto. The Order-in-Original was valid as it was passed within the extended period. He further contended that Section 74 conferred special powers on the Board. It was an independent provision and was not subservient to Section 36. Therefore, the Board was competent to extend time under Section 74 even after the expiry of the initial limitation stipulated in Section 36. He relied upon “M/s Abbasi Enterprises and another Vs. Collector of Sales Tax, Peshawar and 3 others” (PTCL 2009 CL 35). “9. We may add that public interest requires that there should be an end to litigation. The law of limitation provides an element of certainty in the conduct of human affairs. Statutes of limitation and prescription are, thus, statutes of peace and repose. In order to avoid the difficulty and errors that necessarily result from lapse of time, the presumption of coincidence of fact and right is rightly accepted as final after a certain number of years. Whoever wishes to dispute this presumption must do so, within that period; otherwise his rights if any, will be forfeited as a penalty for his neglect. In other words, the law of limitation is a law which is designed to impose quietus on legal dissensions and conflicts. It requires that persons must come to Court and take recourse to legal remedies with due diligence”. In “Dr. 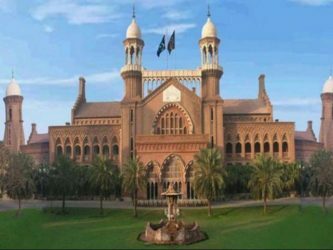 Muhammad Javaid Shafi Vs. Syed Rashid Arshad and others” (PLD 2015 SC 212), the Hon’ble Apex Court added: “From the various dicta/pronouncements of the superior courts, it can be deduced without any fear of contradiction that such law [the law of limitation] is founded upon public policy and State interest. This law is vital for an orderly and organized society and the people at large, who believe in being governed by systemized law. The obvious object of the law is that if no time constraints and limits are prescribed for pursuing a cause of action and for seeking reliefs/remedies relating to such cause of action, and a person is allowed to sue for the redressal of his grievance within an infinite and unlimited time period, it shall adversely affect the disciplined and structured judicial process and mechanism of the State which is sine qua non for any State to perform its functions within the parameters of the Constitution and the rule of law”. In “Savitri Rani Malik Vs. Commissioner of Income Tax” (186 ITR 701), the Gauhati High Court held that statutes of limitation are jurisprudential necessities because they achieve peace and good administration. Further information regarding expiry of initial limitation and extension of time by the Federal Board of Revenue can be solicited from AUJ LAWYERS. Feel free to contact us in case you need any clarification and/or require legal assistance regarding similar matters. This entry was posted in Case Laws, Commercial, Corporate, Corporate Law, Knowledge – Corporate Law, Lahore High Court, Limitation, Limitation - Extension, Litigation & Arbitration, Public Interest, Public Policy, Sales Tax, Tax, Tax Reference. Bookmark the permalink.